i finished the third quilt in my Quilt the Book series. i'm using the book Quilts Made with Love by Rachel Griffith, this quilt pattern is called Hopscotch and Ribbons, but since i decided to make it boy fabrics, i'm calling it Mr. Fox Floating Squares. as my goal with Quilt the Book is that all quilts will be donated or gifted, this one is looking for a recipient. but for now i will just build up a stash of ready to donate and gift quilts. i was able to make this quilt top entirely from my stash! and so i could make from my stash, i change the solid ribbon border to a pieced ribbon border. 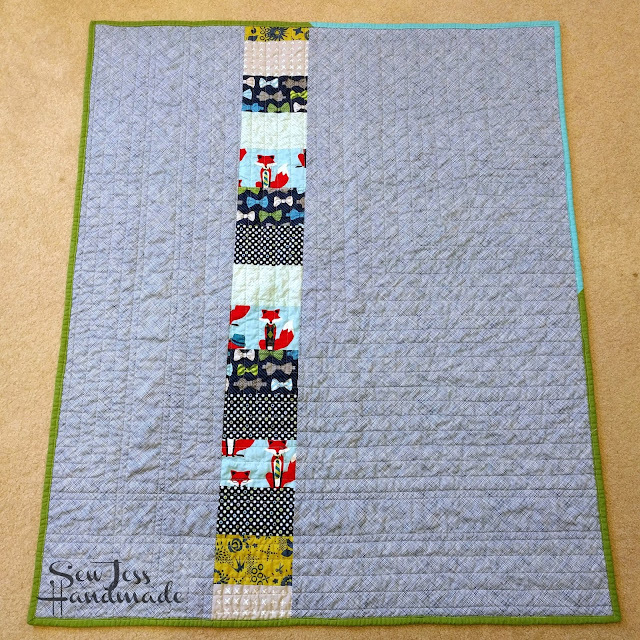 i kept the quilting simple, straight lines spaced out about an inch apart. and i just love the crinkle after a wash and dry cycle. for the back, i pieced the backing to add a little interest. plus this was a great way to use up more of my scraps from the front! 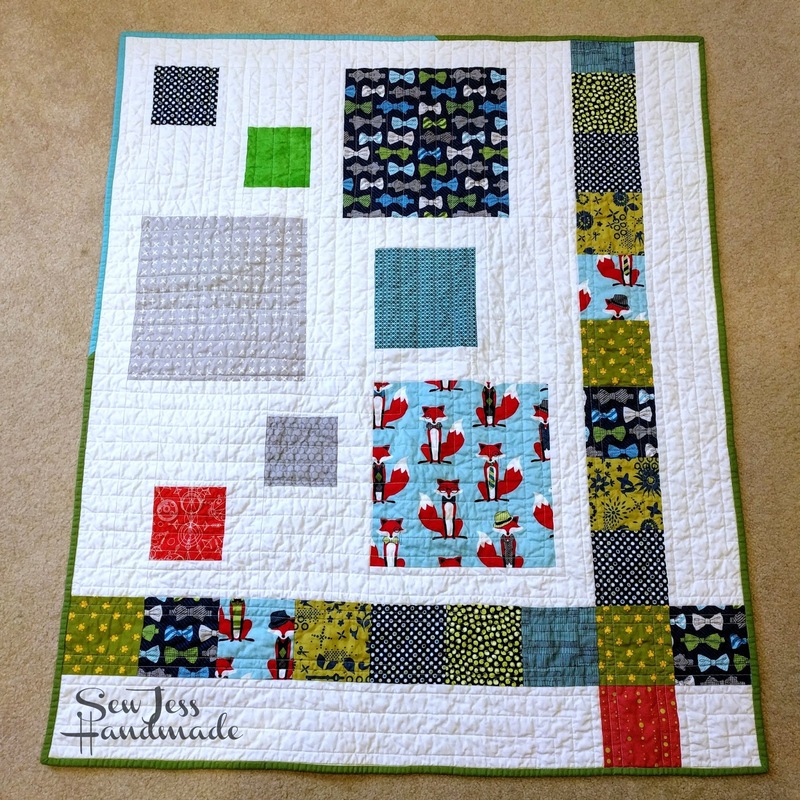 This is lovely Jess - what a great idea to make the quilts from one book. I really should look at the books on my bookshelf for my next quilt! I love this quilt and your idea (is it to come up with a series of books and make one quilt from each book-right?). I need to do this. Thanks for sharing! Very nice finish! And I love the idea of making every quilt in a book. I really should use my books more. It's a great little quilt. i like the pieced ribbons. I think it adds more pizzaz to the quilt than a single fabric would. That's a great idea! I went back and looked at your other post from your Quilt The Book tab (I'm not posting to Instagram) and they are all cute, cute, cute! I have a plethora of books that need to be used this way. Thanks for the inspiration!